Oumier Maximus Max RDTA is another great work from Oumier after wasp nano RTA. 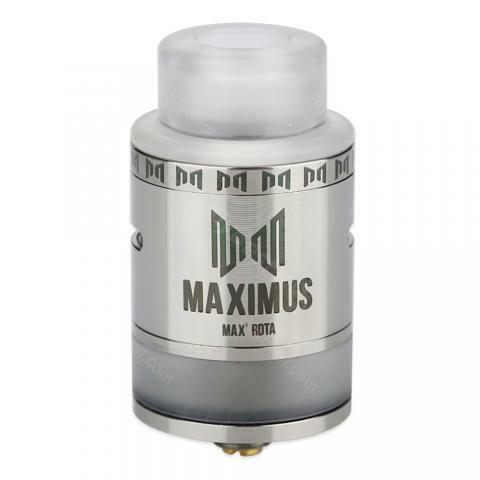 This Maximus Max RDTA is a great choice for DIY fans. Oumier Maximus Max RDTA is another great work from Oumier after wasp nano RTA. This Maximus Max RDTA is a great choice for DIY fans. It comes with 510 thread, can be compatible with most 510 threaded batteries and mods. 3ml capacity is just fine for RDTA atomizer. Compared to others RDTA tank, Maximus Max RDTA comes with the convenient top central hole filling system, and it adopts side airflow with three control mode, another bonus for DIY fans. Moreover, Oumier Maximus Max RDTA has spacious 2 posts build deck with 4 big holes, which is really practical and efficient. Last but not the least, it has first square liquid guiding holes, 3ml e-juice can be all fully heated. 4 classic colors for you to choose. • The PEI drip tip of Maximus RDTA is suitable for 810 drip tip. Система наполнения этого распылителя удобна. и мне нравится боковой воздушный поток. Это отличный распылитель. Nice RDTA totally worth the cash. OUMIER RDTA хорошо работает с моим Eleaf MOD. Обслуживание продавца очень задумчиво.Довольные покупки. Oumier Maximus is working well with my mod. Love the flavor and airflow. Already got oumier wasp, this max rdta is my new vape lover. Flavor is tasty, and great vapor production. Shipping took longer time than I thought, but still it’s a great vape especially with this cheap price. Recommended.